Matt has been guiding in Berlin for more than a decade since arriving in the city afflicted with the kind of healthy curiosity for 20th century German history that comes with a quintessentially English upbringing. His introduction to guiding came from working with Brewer’s Berlin Tours, under the tutelage of the legendary Terry Brewer – former official tour guide for the Allied forces – leading 8+ hour walking tours of Berlin’s historic centre. As a graduate with a bachelor’s degree in Journalism, Matt also has years of experience reporting for various English language publications and news outlets, including the BBC, covering politics, culture and ‘anything but sports’ whilst still finding time to moonlight as a restaurant critic in both Berlin and London. He is a licensed guide at the Sachsenhausen concentration camp memorial and also works as an advisor and guide at the Stasi Museum, housed in the former headquarters of East Germany’s secret police. To say that he knows Berlin better than the back of his hand would be to present a poor comparison, as he spends little time looking at the back of his hand. 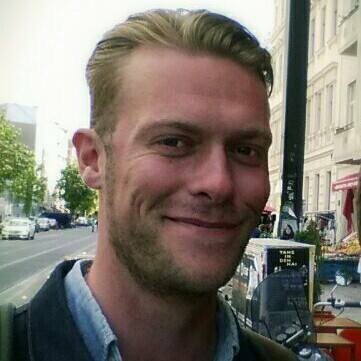 Matt is President of the Berlin Guides Association (BBS) and also founder and owner of Berlin Experiences and Private Tours of Berlin.